Hi everyone! Yay! The Jungle Friends April card kit will be available NOW in the MFT boutique. To create this scene, I used several elements from the kit (elephant and branch die, the grass / hill border, as well as the sentiment). I first created the background. I used masking paper that I die cut with a Circle STAX Die-namics to mask the sun. I sponged the background and the grassy border with Distress inks. I used Squeezed Lemonade, Mustard Seed, Spiced Marmalade, Fired Brick and Aged Mahogany for the sunset sky. For the grassy hill, I used Shabby Shutters and Peeled Paint. I colored the elephant and the branch with Copic markers and I sponged the borders with ink. I fixed the elements with foam pads for more dimension and attached the panel on a black card base. Wow. The colors are so vibrant. Great looking card! Wow! Your background is just stunning! What a great scene for your elephant!!! Great card!! Great card. Your colors are awesome. Love the background you created for this cute elephant. I love your background; beautiful job with the blending! Great shading on the branch, it looks real! Love the beautiful BG in happy colors, cute sun scene with a sweet elephant, so perfect! Stunning sunset!!! I love how you sponged ink on the edges of the branch and elephant so they look backlit. Wow! Such bright colors make for a fun card! Such a cool background, love it! I love the inking on the background, such deep color. I agree with everyone, those colors are wonderful! Francine, a stunning card! Your sponging is amazing; your elephant beyond adorable! Thank you for the smiles today! Great take on this collection! 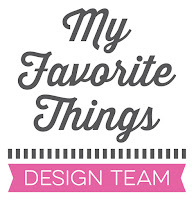 This is the first card I've seen done in such bright, bold colors, I love it! Gorgeous ink blending - such striking colors! Love this card. 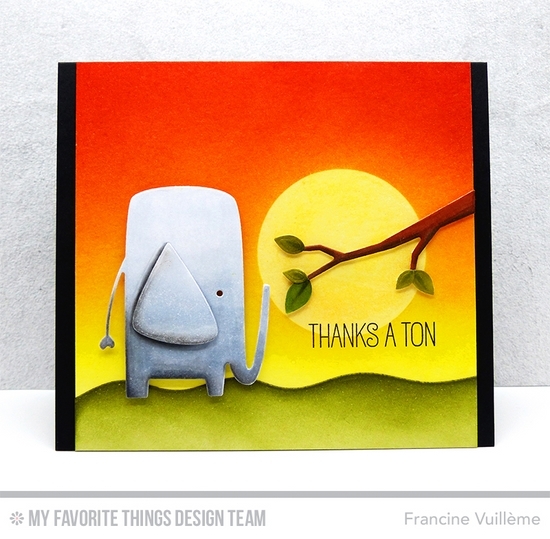 Love the sky colors you used and that adorable elephant! Such a cute scene card! Great sunset on the savannah. so love your vibrant color!